While occasional, mild anxiety is a common human experience, an anxiety disorder is a specific psychiatric problem that is serious and debilitating. An anxiety disorder can interfere with all aspects of a person’s life, significantly impairing participation at work or school, the ability to develop and maintain friendships and romantic relationships, and parenting capacity. 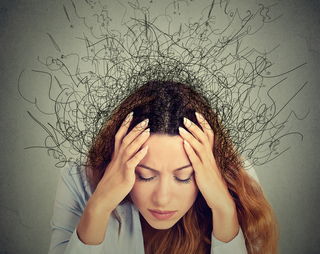 A person suffering from an anxiety disorder tends to place limits on their life, and typically avoids certain experiences to try to minimize painful thoughts, feelings, or physiological experiences. Life feels fearful, constricted, and pressured, instead of grounded, flowing, and free. Do you worry every day about anything and everything? Do others find your fears irrational? Do you have difficulty falling or staying asleep because your thoughts are racing? Do you experience panic attacks with rapid heartrate, where you fear that you might pass out or die? Do you dread the thought of speaking up in a meeting or in class? Do you experience panic or blanking out when you do? Do you avoid social situations, like crowded environments, or meeting new people, because of anxiety? Do you find it difficult to leave your house? Do you constantly scan your environment to see who and what is around you? Do you avoid certain places or things because they trigger reminders or flashbacks to painful experiences in your past? Do you have a phobia of something specific, like snakes or flying? If any of the above experiences seem to fit for you and anxiety is interfering with your school, work, social life and family, you may have an anxiety disorder. It can seem as though you are the only person suffering from this, which can make it hard to seek treatment. It is important to know that you are not alone. Anxiety disorders affect millions of Americans every day and are one of the most common reasons that people seek psychotherapy. It can be extremely distressing to suffer from anxiety. Worrying, avoiding situations, or scanning the environment takes a tremendous amount of energy, leaving you exhausted and with less energy to focus on the demands of your daily life. It can take courage to seek help for anxiety, because a very common and natural response to anxiety is avoidance. I am very sensitive to this and work hard to create a safe, nonjudgmental, and compassionate environment for you to explore your challenges, and to proceed in therapy at a pace that feels manageable to you. The treatment will depend on the specific nature of your anxiety. We begin by discussing your symptoms and how anxiety affects the quality of your daily life, so that we understand the specific nature of your anxiety. I work on two parallel paths when treating anxiety. I teach you tools for reducing your symptoms so that you can begin to get some relief quickly. The most common are mindfulness practices, and techniques for grounding yourself and calming yourself if you feel anxiety beginning to escalate. At the same time, we discover together what the underlying causes of your anxiety are and help you overcome those. Anxiety is essentially a fear of being afraid, a fear of fear. So we explore how your childhood or events in your life may have led you to experience aspects of your world as unsafe, and help you to restore a sense of safety in your present day experience. If you would like to explore treatment for anxiety, please schedule your free 15 minute phone consultation.